Few villains in comics, save for Ra's Al Ghul, can be sympathised with like Magneto. He's joined the side of the Angel(s) and X-Men on numerous occasions, confronted the Nazi Red Skull and stolen the spotlight in practically every X-cartoon or movie (thanks to amazing talents like Michael Fassbender, Ian McKellen and David Hemblen). Despite these facts, the Master of Magnetism has never had his own comic book series. That is, until March. The polarising personality will launch into an all new Marvel NOW! series, under an instantly iconic cover by Paolo Rivera. Written by Cullen Bunn and illustrated by Gabriel Hernandez Walta, the series announced on USAToday promises to have the militant mutant tackle the plight of his people, as judge, jury and executioner, with all the fury and strategy expected of a merciless 'menace'. With an Erik hunted by S.H.I.E.L.D. 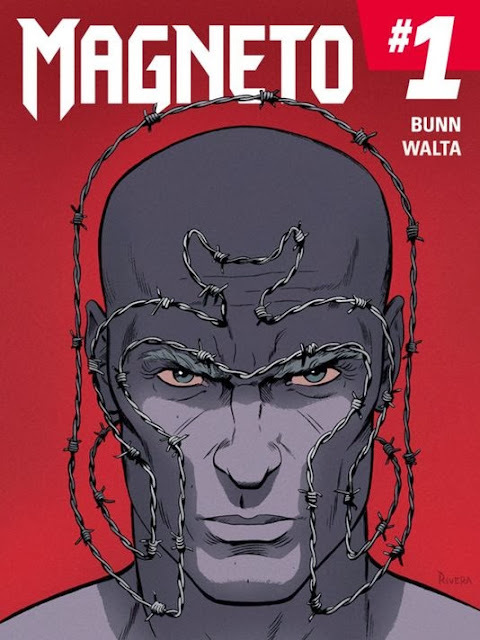 and facing the return of a new Magneto worshipping Acolytes, this series has been long overdue. Hopefully it will prove as controversial as it's star, and show the world when it comes to mutants with mettle, physical claws are nothing compared to ones bred from a lifetime of persecution and vengeance.